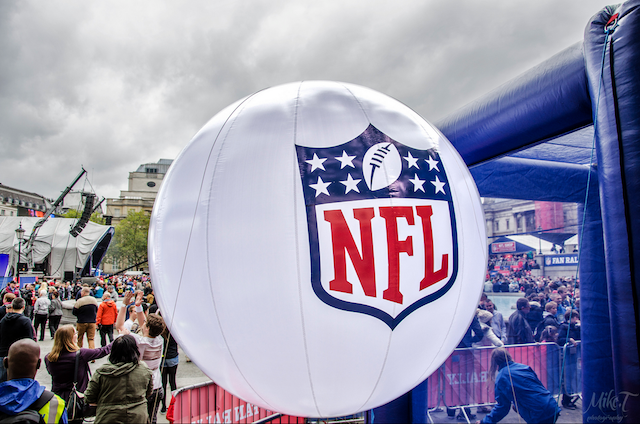 An increasing number of Londoners are finding themselves in the huddle after the NFL’s successful run of league games held at Wembley, with further fixtures including the Miami Dolphins, Dallas Cowboys and Oakland Raiders set to take place later on this year. But the dream for any fan is to be at the Super Bowl on Sunday 2 February, this year being fought out by the Seattle Seahawks and Denver Broncos at the MetLife Stadium in New Jersey. Unfortunately, this is slightly beyond Zone 6, and tickets are rather in demand, if not eye-poppingly expensive. For most London-based football* fans, watching it on the box alongside like-minded individuals with beer and snacks will be the nearest that they get to the MetLife this year. So slip your shoulder pads on, plant the helmet on your noggin and tackle our guide to watching Super Bowl XLVIII in London. The Lane on Brick Lane plays host to a meetup especially for American expats, now in its twelfth year. The match and build-up will be projected onto several large screens. Expect cocktails, craft beers, chicken wings, nachos, burgers and salads. Doors open at 9pm and the party continues till 4am. Tickets £15 in advance, £20 on the door. Fancy eating hotdogs, drinking beer, watching Super Bowl and a halftime show, and raise money for charity at the same time? Then The Social will probably be the place for you. Music-lovers will attest that this venue has an awesome sound system. On Sunday night, the place will be packed to the rafters with NFL fans who will be able to hear every bone-crunching tackle as though they’re stood on the pitch. Best of all, all proceeds go to Amnesty International. 5 Little Portland St, W1W 7JD, £8. According to the totally unbiased press release we received, Walkabout is THE place to watch the Super Bowl. In HD no less. The number of Australians in the UK might be falling, but it seems that Temple Walkabout is still going strong as it hosts yet another Super Bowl party. Temple Walkabout, Temple Place, WC2R 2PH. £10 entry only / £20 entry, 2 x Budweiser, Hot dog, fries and chicken wings. Experts in barbequing food, Bodeans is also turning its hand to screening live sport by showing the Super Bowl at all four of its branches. For £30, guests can get a guaranteed seat, a beer and, at half time, what Bodeans does best – a chunk-load of smoked BBQ food. For those that want to watch the game from the comfort of their own sofa, it's also doing takeaway packs of food. Soho, Clapham, Tower Hill and Putney branches, £30. If Calrsberg did Super Bowl parties… less of the ‘if’ – they do now. The Carlsberg bar is located in Casino at the Empire on Leicester Square. Seating is on a first-come-first-served basis and for any spend over £15, you’ll get a £5 gaming chip to use on ‘party pit tables’. There are plenty of competitions taking place throughout the evening, deals on food and booze and the screen looks pretty impressive. They've even produced a Google Street View of the interior of the bar. The Casino at the Empire, 5-6 Leicester Square, WC2H 7NA, FREE. We’ve been to Bloomsbury Lanes before and had a super bowl. So going there for the Super Bowl makes sense, if only for offering a very tenuous link for this description. Created ‘by the fans, for the fans’ the event was planned with some of the UK's leading NFL podcasts and websites with the whole venue open over two floors. Entertainment includes DJs, karaoke, beer pong and, of course, bowling. Bedford Way, Basement of Tavistock Hotel, WC1H 9EU. Early bird + beer is £8 / general admission + beer is £10 or £15 on the Door.